We specifically planned our visit for a Sunday because it did not require a timed visit. Getting anywhere on time with three little ones is intense, and I didn’t want to be tied down. Check the website for days that require a timed arrival, this varies by season. Kids aged 9 and under are always free with a paying adult. This alone helps me count the Biltmore as a child-friendly establishment! In hindsight, I wish we would have allowed for two days on the Biltmore grounds. I didn’t do enough research to indicate this, but after the house tour (approximately 2 hours) our kids were tired and hungry. We headed over to the Antler Hill Village for a late lunch at Cedric’s Tavern and promised the kids they could play on the playground depending on their behavior. I think with a 2-day pass (signs on the property said this was $10 extra per adult) I would have done the same, BUT come back a second day to explore the gardens and spend more time in the Village. 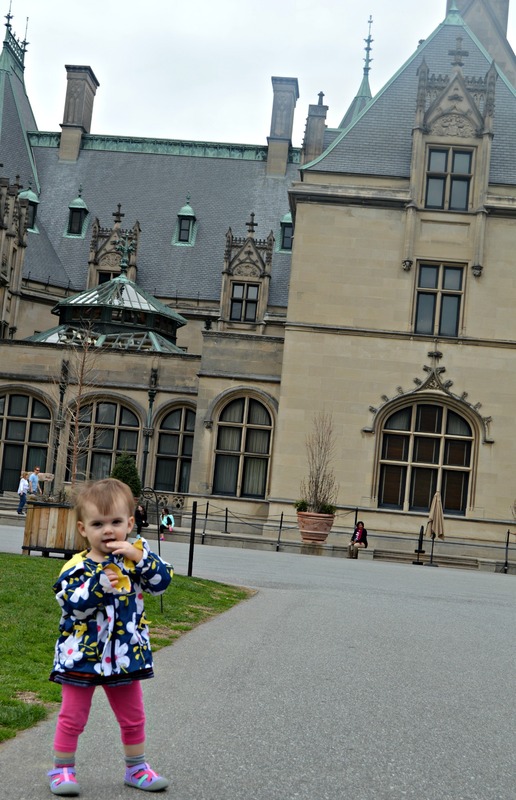 Small strollers and baby carriers are permitted in the Biltmore. We had Olen (3) in the umbrella stroller and C was in the baby carrier. There are stairs, but the staff is super accommodating. We used the elevator on the way up and carried the stroller down the stairs- O had escaped anyhow! The elevator is original to the home, so that was exciting for us parents to see how it functions. 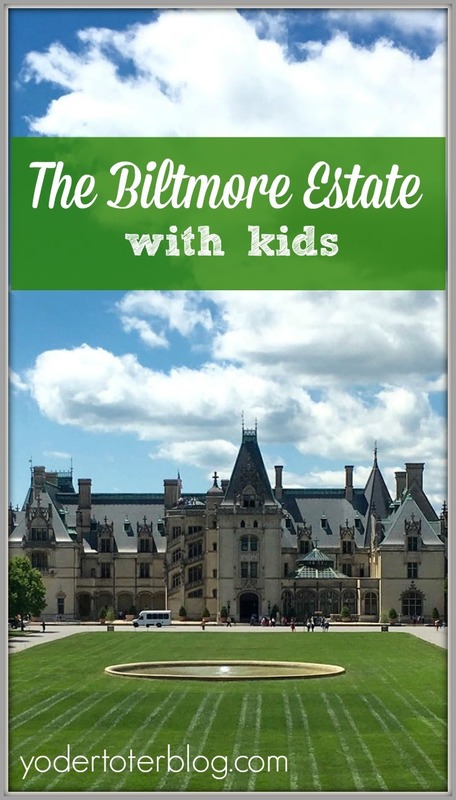 The Biltmore Estate offers a headset audio tour! We didn’t get them because we figured it would be too hard to listen intently and keep our children from breaking things! Lol! If we only had Jackson with us, we would have picked up the kids audio- I think that would have been helpful for him. When the boys got a little anxious we played I-Spy with them! We may have annoyed some of the people around us, but it kept them occupied and made them notice the unique items in the home. 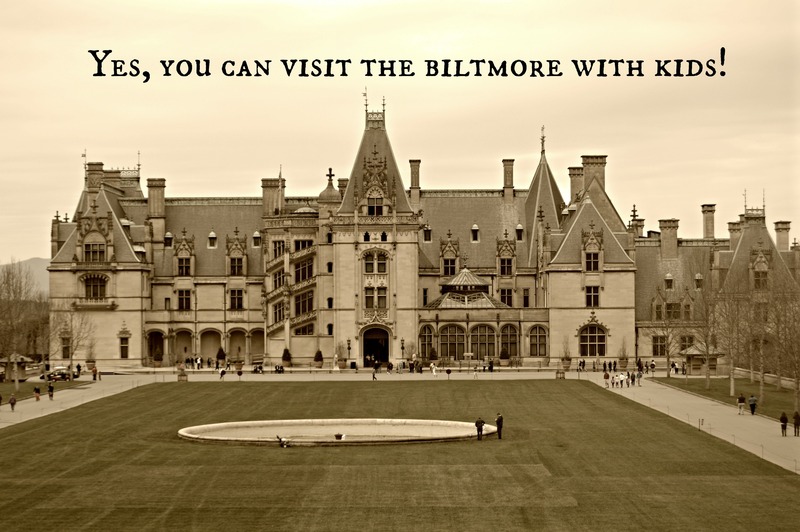 I bought our Biltmore Estate tickets at AAA prior to departure. They saved us a few dollars off of the gate price, but more importantly you don’t have to stop at the gate, you just show your tickets and keep on rolling through! Call your local AAA before departing to make sure they have them in stock. Last, as you’ll probably notice, you can’t take photos inside the house. (But you can take your camera along and take photos outside). 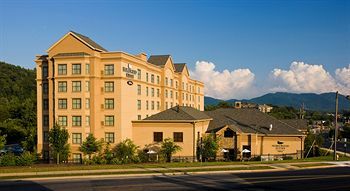 We stayed at the Homewood Suites by Hilton on Tunnel Rd. This hotel was great for our family. More info on Homewood Suites HERE.